Who says a girl can’t wear a princess dress and play baseball, too? And who says a baseball-loving toad must dine on slugs forever? 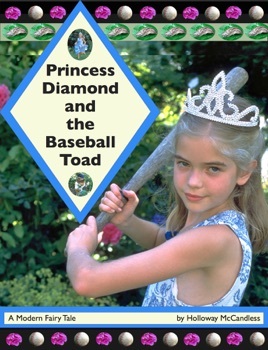 Princess Diamond is royally bored in Queen Fenway’s garden until she finds a bat, a ball, a glove, and a stack of letters from the Baseball Toad. Her boredom problem is solved until she loses her baseball deep in the spellbound roses. 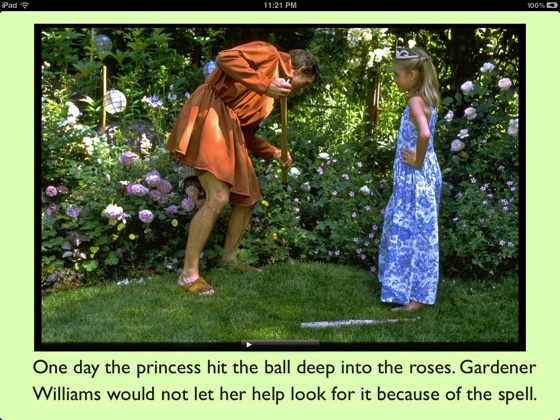 Gardener Williams won’t let her search for it because of what happened to Prince Dustin. How will Princess Diamond ever get her baseball back? 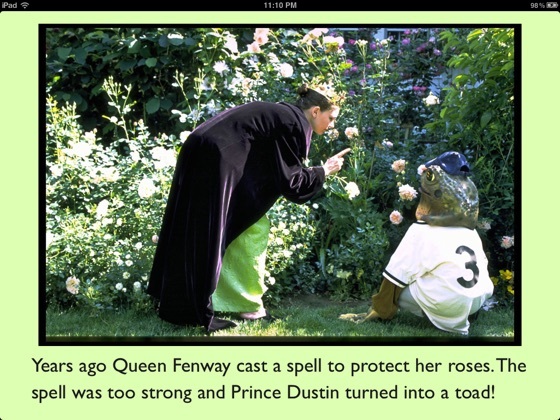 Can she convince the elusive Baseball Toad to help her? •Read-aloud narration by the author is available on every page, controlled by a finger tap. A child can read the e-book independently or be read to by an adult. •Each page of text is illustrated by a large-format photograph in fixed landscape view. •Five multimedia slideshows dramatize story developments. •Bonus “Extra Innings” pages with read-aloud text teach kids fun facts about baseball, toads, slugs, and flowers. •Includes “Toad’s Tips for E-Book Hopping” for e-book novices (with instructive audio). •Total e-book length with bonus material: 34 pages. •All images include accessibility descriptions. 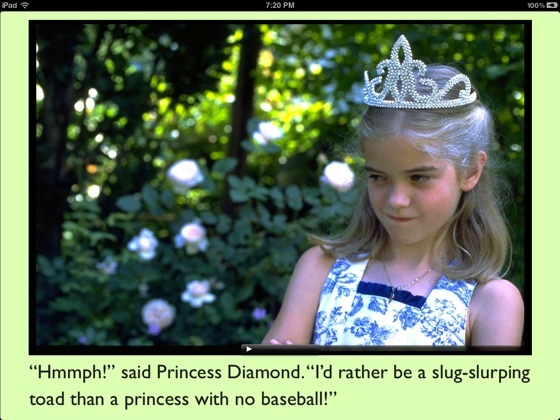 A charming story about backyard baseball and a prince of a toad. The bonus feature is as lovely as the story, teaching young readers how to take what they've read and head into their backyard to play. The author even provides encouragement to keep trying through your misses. The story is sweet and the photography wonderful. Play Ball! Who says girls can't like sports and princesses!? Great modern fairytale for any baseball playing gang!